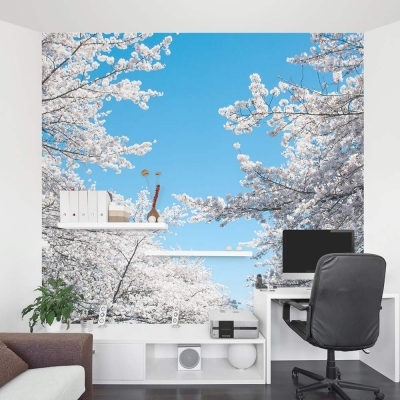 White Cherry Blossoms adorn the trees in this wall mural. Great for an accent wall or the entire room. These removable and re-positionable cherry blossom tree wall mural panels are an easy way to decorate any wall in your home, nursery or office. 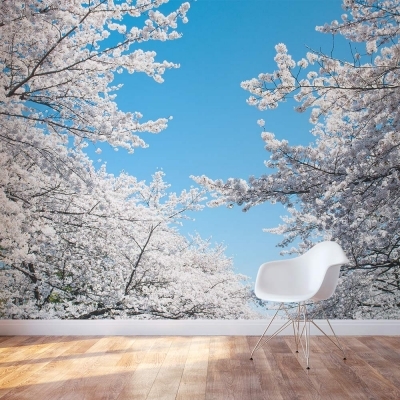 Wallums peel and stick murals will redefine your space by adding style and definition to your walls. 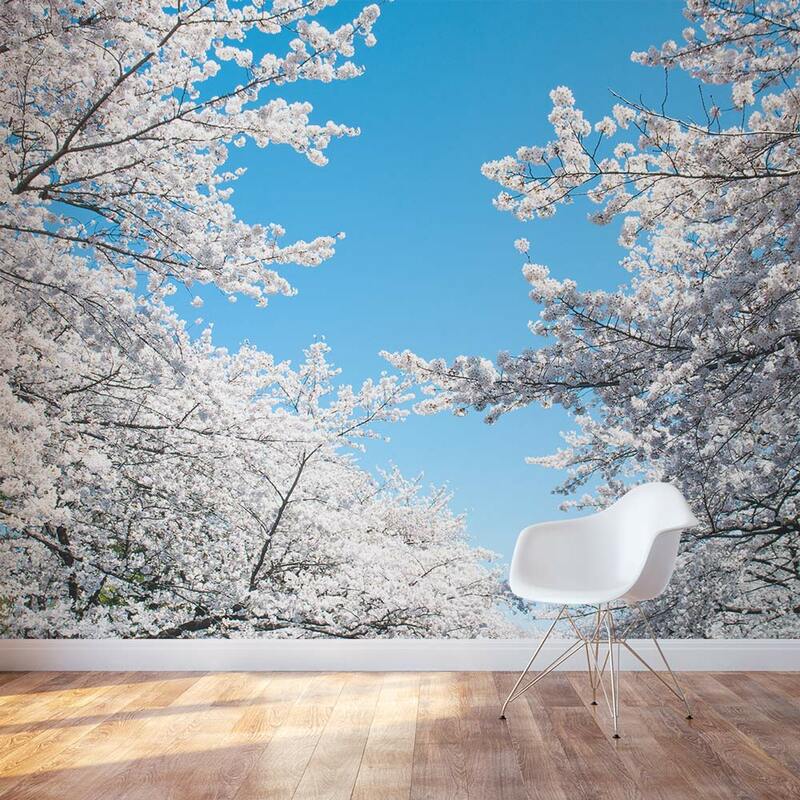 Whether you are looking to create an accent wall or cover the entire room, our peel and stick white cherry blossom wall decal is your perfect simple solution.